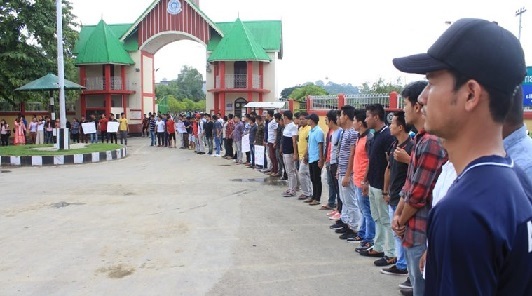 The Manipur University, which has been closed for 78 days following a demand for the removal of the Vice Chancellor, is likely re-open following an agreement on Thursday. Students and teachers have sought the VC’s removal for allegedly administrative and financial irregularities. A Memorandum of Understanding (MoU) was signed following a series of talks between the state government and the varsity community. The government agreed to replace two members of the fact finding committee that has been constituted to look into the charges against Vice Chancellor A.P. Pandey. However, the independent inquiry committee will continue to be headed by T. Nandakumar, formerly of the Meghalaya High Court, and submit its report within 15 days. During this period, Pandey will be on leave.